ARA Asset Management Limited is a premier global integrated real assets fund manager. As at 31 December 2018, the Gross Assets Managed by ARA Group and its Associates is approximately S$80.1 billion across over 100 cities in 23 countries. 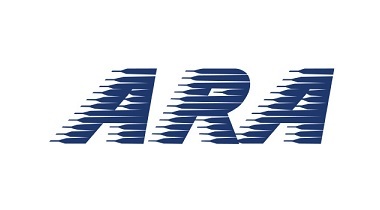 (a) REITs – ARA is one of the largest REIT managers in Asia Pacific. The Group directly manages Fortune REIT, dual-listed in Singapore and Hong Kong; Suntec REIT and Cache Logistics Trust, listed in Singapore; and Hui Xian REIT and Prosperity REIT, listed in Hong Kong. It also indirectly manages REITs in Japan, Australia, Singapore and Malaysia through its associate companies. (b) Private real estate funds – The Group manages private funds providing investment opportunities in diverse real estate sectors and geographies that cater to different investor risk appetites. (c) Country desks – ARA operates country desks in China, Korea, Japan, Malaysia, Australia, Europe and the United States. The country desks employ a strong understanding of each local market to facilitate the flow of inbound and outbound capital and cross-country collaborations. ARA has an expanded presence in Japan via its strategic stake in Kenedix, Inc. and in Europe via its strategic stake in Cromwell Property Group. (d) Infrastructure – ARA Infrastructure was established in 2018 to cater to strong investor demand for global infrastructure investment. (e) Real estate management services – As part of the Group’s investor-operator philosophy, its dedicated property management teams actively work the ground to manage its assets globally. ARA’s multi-platform, multi-product global fund management strategy, combined with its dedicated teams with in-depth local knowledge, enables the Group to offer enduring value to investors. Built on a foundation of strong corporate governance and business integrity, ARA counts some of the world’s largest pension funds, sovereign wealth funds, financial institutions, endowments and family offices as its investors. 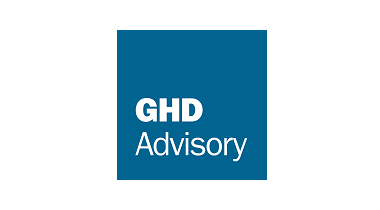 GHD's advisory service addresses the need for business outcomes that challenge the status quo in our rapidly changing environment. Underpinning our approach is the unique combination of creative thinking, sound business acumen and 90 years real-world experience in design, delivery and operations. We partner with clients throughout the business and asset lifecycle, leveraging our global network to deliver integrated solutions with long-term benefits. King & Spalding helps leading companies advance complex business interests in more than 160 countries. Working across a highly integrated platform of more than 1,500 lawyers in 22 offices globally, we deliver tailored commercial solutions through world-class offerings and an uncompromising approach to quality and service. First-class M&A and Finance teams with excellent legal and commercial insight. Lee Taylor headed up the tier-1 ranked M&A and Private Equity practice in Southeast Asia at Clifford Chance until recently, having spent 20 years at the firm, of which 15 have been spent in Southeast Asia. He has a strong reputation in the market for M&A (particularly involving private equity sponsors) and regularly advises global and regional private equity houses on their most complex transactions in the region. Andrew Brereton led the tier-1 ranked Banking & Finance practice at Clifford Chance in Singapore until recently, having also spent over 20 years at the firm. He specialises in banking work, including acquisition finance, structured lending, fund financing, trade finance, project finance and reserve-based lending. Both Lee and Andrew have outstanding reputations in the market for their respective areas of expertise, as reflected by top-tier individual rankings in the leading legal directories. Full cycle private equity coverage. 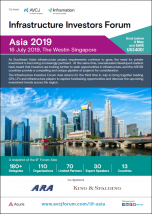 We are one of the few law firms in Asia with first-class capability to advise on the full cycle of Private Equity, including fund formation, downstream private equity investments, acquisition finance and exits (IPOs, auction sales and trade sales). We also advise a broad range of private equity investors including buyout funds, growth capital funds, sovereign wealth funds and private equity arms of investments banks. We can be a “one-stop” shop for all your Private Equity needs. Expertise in Private Equity. We have a strong track record of private equity transactions across Asia. Our in-depth knowledge of the sector means we can help you anticipate issues and develop commercial solutions before they arise, enhancing deal certainty and speed of execution. Our extensive track record, solutions-oriented approach and reputation for executing complex transactions with adaptable teams are features that make us one of the leading international law firms for Private Equity in Asia and globally.